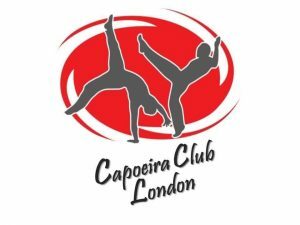 Capoeira Club London – CAPOEIRA CLUB LONDON under the guidance of Contramestre Hiram where our vision is to bring the beautiful art of Capoeira to London! CAPOEIRA CLUB LONDON under the guidance of Contramestre Hiram where our vision is to bring the beautiful art of Capoeira to London! Capoeira Club London adult classes, are at a general level and we divide it The private classes give you the option to practice capoeira where and when best suits you. contact us and we will reply asap. The private classes give you the option to practice capoeira where and when best suits you. contact us and we will reply asap. Book an amazing brazilian experience, packed with a great acrobatic show that will leave your guests speechless. 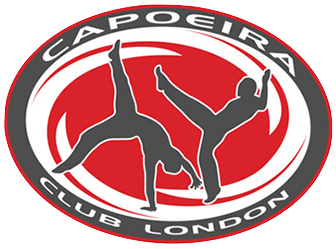 Capoeira Club London was created in 2012, by ContraMestre Hiram Ribeiro. CCL now has more than 380 students, and has expanded to schools and gyms all over the city, bringing capoeira to children and adults. The Club has a team of skilled teachers, led by ContraMestre Hiram, who between them give around 33 classes a week to all ages and all abilities. CCL not only provides the opportunity to get fit, improve musicality and enhance general well-being, but also provides a social environment for students to get together both inside and outside class. CCL has had the pleasure of performing for BBC Children in need, itv Good Morning Britain, Channel 4 Sunday Brunch and Science Museum late night shows. The Club has a team of skilled teachers, led by ContraMestre Hiram, who between them give around 30 classes a week to all ages and all abilities. Capoeira Club London not only provides the opportunity to get fit, improve musicality and enhance general well-being, but also provides a social environment for students to get together both inside and outside the class. The Club's effective teaching methodologies help students to quickly improve fitness, increase confidence, and achieve their capoeira goals. ContraMestre Hiram Ribeiro is from Bahia, Brazil. He started capoeira when he was eight years old, at first training with Mestre Sombra. At 18, he moved to London, where he found his master, Mestre Israel, from Ginga de Quilombo. Hiram has over 23 years of experience teaching adults and children of all ages. He leads by example: training, dedication, and a passion for capoeira! Contra Mestre Hiram is the Founder and Director of Capoeira Club London. Professora Criss was born in Mogi-Guaçu, a small town in the state of São Paulo, Brazil. 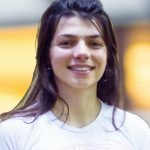 She started Capoeira at the age 15, and fascinated by the expressivity of capoeira, felt she had immediately found her passion. 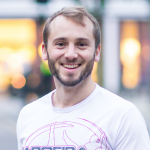 Criss moved to London in 2008, and has been teaching capoeira in primary schools across the city ever since. She has been involved in several kinds of shows, including live TV programmes and private parties. Criss is the Head Coach of Capoeira Club London. Formado Zumbi (Mamadu) was born in Guinea-Bissau, West Africa, and spent most of his childhood there until he moved to Lisbon. He first came into contact with the world of capoeira in 2008, a year after moving to London. His nickname “Zumbi” is the name of an ancient capoeira warrior, who fought against slavery. Mamadu enjoys playing the traditional instruments of capoeira, especially the atabaque drum. Mamadu has experience teaching all levels of adults, and has participated in a variety of performances and TV shows. Formado Molinha (Rui) first experienced capoeira when he was a small child growing up in Lisbon. 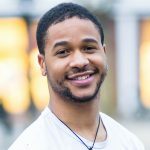 He moved to London when he was 7 years old, and started practicing capoeira when he was 15. As well as enjoying the acrobatic-side of capoeira, Rui is also a talented musician and has composed a variety of capoeira songs. His capoeira name, Molinha, means “spring”, owing to his flexibility and agility. Rui teaches both adults and children’s classes and has participated in events and TV shows. Formado Macaco Branco (Romain) started Capoeira in 2006 and was granted the level of graduate (“graduado”) in 2012 by Mestre Delei. He then joined Capoeira Club London in spring 2015. 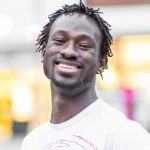 He has been teaching Capoeira in London for over 5 years and has led several classes for different levels and age group. He nourishes a passion for the Capoeira music and singing. Romain currently lives in Cambridge and goes by the nickname Macaco Branco. "The party was excellent! Rui and Rilene were wonderful with the kids, so enthusiastic and energetic and creative. Everyone had a a great time, and the parents who were there agreed that it was an amazing party. Thank you for all your help arranging it. I will definitely spread the word in case anyone wants a capoeira party too! Best wishes"
"My kids love coming to capoeira, they have such a good time with all their friends"
"I love all the capoeira events, it is always full of masters, teachers all with positive vibes. I feel like I make friends at every event and this is very important for me"
Capoeira Club London has had the pleasure of working with.